Idles about and occasionally falls asleep. 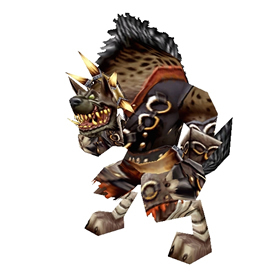 To collect Hogs, players must earn at least 45 points in one session of the Whack-a-Gnoll mini-game at the Darkmoon Faire. Slices the enemy, dealing 394 Humanoid damage. Savagely mauls the enemy, dealing 591 Beast damage. Deals 394 additional damage if the target is Bleeding . Currently my favourite one to fight critters (humanoid type + solid beast abilities). Stampede followed by Maul give you a nuke needed to go through opponents' healing (Lucky Yi, Chirrup) – and you can always correct it by another Bite that remains buffed aswell. You'd also choose to be more tanky considering the humanoid racial and Consume Corpse, though that's an exotic thought considering the Idol's presence. Whatever you need, the H/P breed seems to support both ways of gameplay. Best tip for this - keep going until you get a Hogger-heavy round. On my fourth try, I was getting spammed by Hogger's and finished this with about 3 seconds to spare. Easy to get, no need to buff on speed. It is way smaller than expected. But still a very cute add. Sadly, while he is a cool pet, he is not viable at the moment with all these people running Graves like a Undead Lady of the Night. I think we need more Paladin Human pets to kill all these undead pets... because so much talent is wasted :( What if Hogs ate the other pet for 4 rounds? Got Hogs on my Mage on my 1st try when the area was empty... Really easy to get! You need 45 points to get this pet. The best I have managed is 40 (got that exactly twice so far). My usual score ranges from 30 to 37... but has been lower. I am starting to think that I will never get this pet. I FINALLY managed to get this done! Did it on a hunter with Aspect of the Cheetah on. I had gotten up as high as 43 a few times last night, and planned to give it all I have today... and got exactly 45 points. I thought it would be annoying from the sound of it, but it was really easy. Use a character with a movement speed buff. Got this pet (first try yay) but it doesn't have a breed, dunno if this is bug or not. Got mine last night after about the fifth or sixth attempt. What finally worked for me was to concentrate on getting the Hoggers that spawned. Got mine today on the 2nd attempt in playing the game, I was amazed. I've always hated this game before. It's actually easier with more people doing it. It's like the darkmoon tonk achievment. The more people doing it the faster and more plentiful the spawn. They definitely modified the game to make it easier. The mallet seems to hit targets much quicker, and the rate at which the larger multi-point gnolls spawn is also quicker. Despite having multiple people attempting this at the same time as me, it wasn't difficult. I suggest positioning your camera above your character and utilize straffing techniques. Get it at first try with 3-4 secs left. I thought it was an hard achivement and is not. The pet is awesome, just a bit tiny sadly. GL everyone.